Never have nor tried this kind or glass screen protector for my iPad2 before, and so I was ecstatic to review one today. I placed my order of the IntelliGLASS Hardened Glass Screen protector in their website, the procedure is very quick and easy. They have plenty of items sell online and carries most of the devices accessories. With an affordable price, I will surely come back to get more accessory from them of my other gadgets. The product came in the mail without any sign of damage. I like it, as I can use the screen protector right away. Easy installation, slim fit which protects my iPad2 screen securely, clear which is I always wanted for my iPad to have a better screen. I don't have problems putting it on especially having bubbles while I gently put the screen protector. I've also noticed that no more smudges and fingerprints which keeps me clean the screen whenever my son plays the iPad cause for some reason he always have a slimy finger that would basis it. One more thing that I am still observing is the 9H surface hardness that is exceptionally strong design which says that can withstand hits and dings, amazing right? Overall, I would say this product is indeed recommendable for you to use to protect your iPad screens. 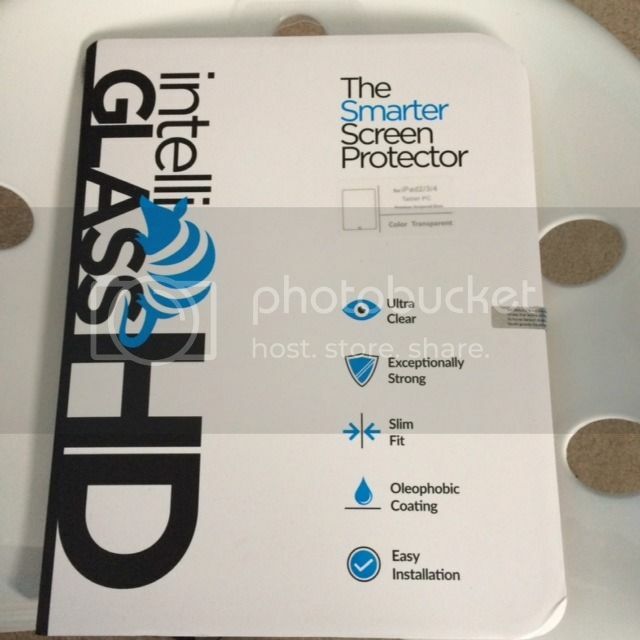 The Smarter Screen Protector can be purchased at www.intelliarmor.com. I would like to have one for hubby's iPad. I wonder how much does it cost? I bet your gadget is very clean and safe now Mommy N.
I bought last time for my daughter's iPad and it was bulky and heavy, i forgot what kind it was.But this looks light weight, I will check this out and might buy this as I needed new one for my daughter's iPad.Thank you for sharing. Screen protectors are really a must-have accessory for our gadgets, especially if we allow our kids to use them. These accessories prolong the lives of these equipment and make them look cleaner. Exactly what I need as my tablet's screen protector is already wearing out.